Busy Weekend Of Football Coming Up!! I enjoyed the bye week for Grand View Football. 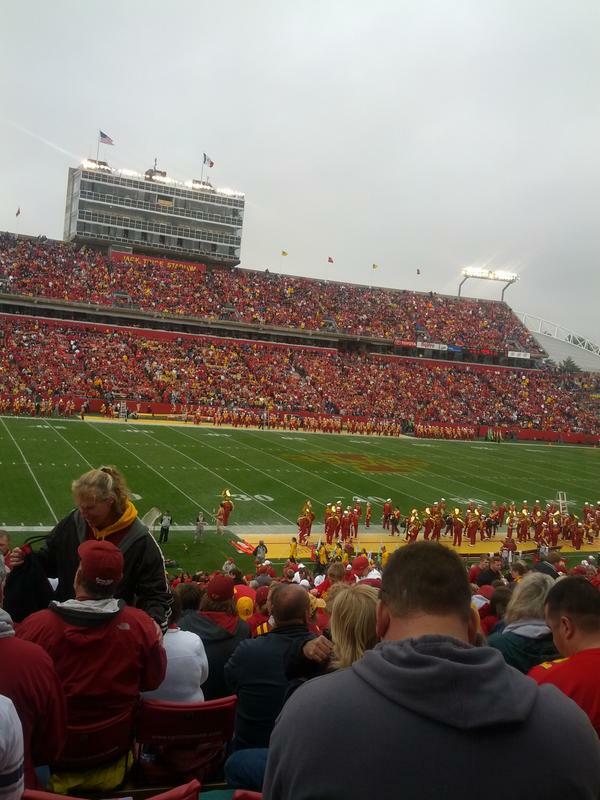 Took in the Iowa State vs Kansas State game in front of the largest crowd ever at Jack Trice Stadium (56,800). Unfortunately the Cyclones came up short 27-21. Back to the “grind” Saturday when Grand View plays host to Siena Heights (MI). This is the Saints 2nd year of football and they have been VERY competitive despite their 3-4 record. They have played THREE overtime games (losing 2 of them). Siena Heights will also be making the 2nd of three trips to Iowa this year, having already lost at Iowa Wesleyan in 3 OT and scheduled to travel to Waldorf on November 3rd. Hopefully the Vikings will be well rested and fresh for the game at Williams Stadium Saturday at 1pm. Grand View stands at 5-2 and is headed down the stretch for a MSFA Midwest League Championship. Following the Grand View game Saturday afternoon, I’ll be jumping in the car with my brother Seth and father Don heading to St Louis. We’re taking in the Packers at Rams game Sunday at NOON. I’m the Rams fan, Dad and Seth are the Packers fans. Should be a good time. It’ll be their 1st ever Packers game. My last Rams game was with my brother Adam in 2008. We saw the Rams host the Dolphins. My seat for Iowa State’s game vs Kansas State.